Increases nutrient uptake, plant vigor and stress tolerance. Promotes faster and more complete root development. Immerse Seaweed tablets excel at treating localized dry spots and hydrophobic soil media, whilst also delivering a highly-bioavailable blend of biostimulants directly to a plant’s root system. 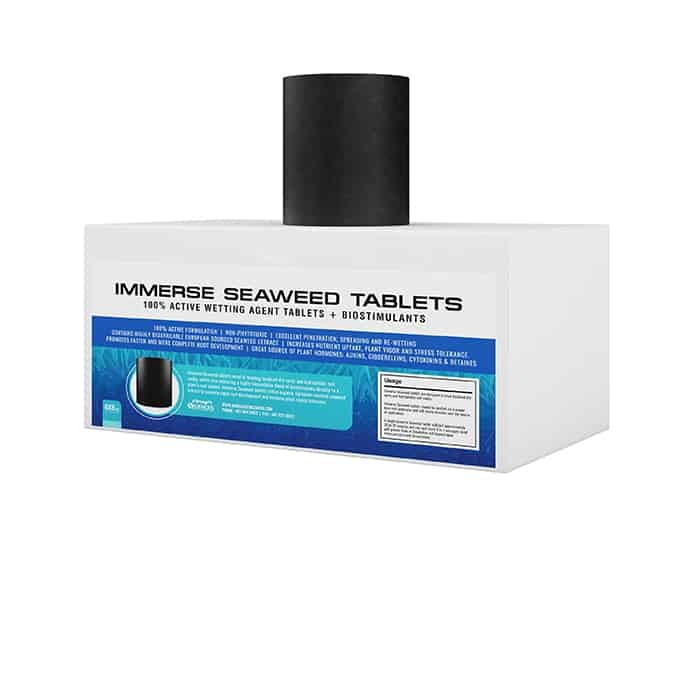 Immerse Seaweed tablets utilize organic, European-sourced seaweed extract to promote rapid root development and increase plant stress tolerance. 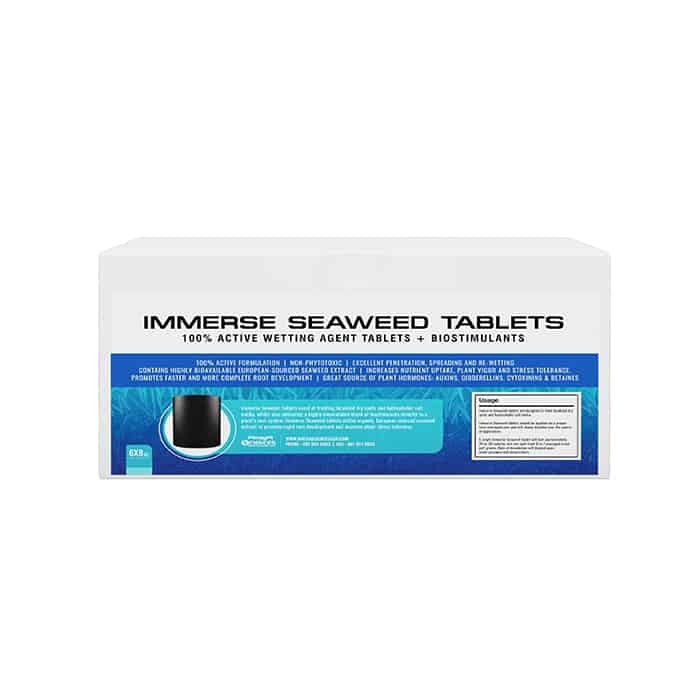 Immerse Seaweed tablets are designed to treat localized dry spots and hydrophobic soil media. Immerse Seaweed tablets should be applied via a proper hose-end applicator and will slowly dissolve over the course of application. A single Immerse Seaweed tablet will last approximately 20 to 30 minutes and can spot treat 6 to 7 averaged-sized golf greens. Rate of dissolution will depend upon water pressure and temperature.